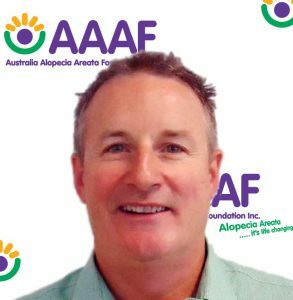 Greg has been impacted by Alopecia Areata since 2006 and as a parent he has seen first-hand the impact it can have. He is passionate about making lives better for people with Alopecia Areata in its many forms and has been on the National Committee since 2011. Greg is an Engineer and works in the resource sector. No Events AAAF runs a wide range of events, from Open Days and Trivia Nights, to pizza dinners and casual catch ups over coffee. These events all aim to provide a supportive atmosphere and chance to socialize with other people who have Alopecia Areata and their families. See the events page to find upcoming events near you. Curly Sue’s Wigs & Hairpieces 08 92767359 enquiries@curlysues.com.au Website Specialising in premium wigs and hair pieces in heat defiant and human hair fibres. Qualified staff to assist you in store or on line.